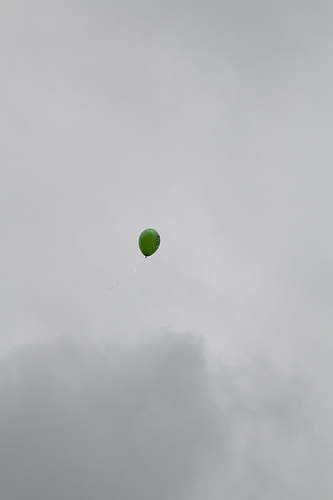 Helium balloon – heading for the stars! At that point, in accordance with the familiar, enduring magic of helium, it will weigh less than nothing at all. My usual reaction to dreck is to think “There are so many wonderful stories which might be told instead. We sooo need a wiki. Stories like…”. Helium heads for interstellar space! What’s the story of this balloon? Or, punting the rubber, of the helium bit? It’s impossible to do this for real. That would take weeks, or months, not the few hours I have for this post. Thus the need for a wiki. But some highlights are clear. which were synthesized in the supernova which triggered solar system formation. Escaping the balloon. I’m unclear whether it’s a rise and pop, or a float and leak. Both stories have nice linkage to others, including weather and superpressure balloons, surfacing divers, H and He sneaky leakiness, etc. Near-term journey. Atmospheric outgassing; blowing in the solar wind; termination shock; entrainment; and ISM. Long-term journey. I don’t know the numbers. What’s a free He going to do around here for the next few Gyr? What are the odds of getting into another star? Industrial extraction, storage, distribution, and economics. Long-term experience of a heavy nuclei on earth. Living in the decay chain, waiting for your turn to go. Neutralization; diffusion; reservoir caps. Supernova: unstable nucleosynthesis; hell; trigger shock. Solar system formation. Getting from big bang to nova. Filament flow; galaxy mergers. I’m unclear on whether an earlier stellar experience is likely or not. The hard part is gathering the information. Only then, the very much not as hard part of generating correct and fun and enlightening end-user content. Here faked carelessly for crude illustration. ME: So, you’re a Helium atom? He-p: Yep, that’s us. Two protons, two neutrons, and some electrons we picked up. ME: And you’re headed for space? He-n: yeah, and then depending on what time of year we leave earth, we’ll either surf the bow wave for time, or wave sayonara. Bye bye Sol. ME: A million years? That seems a long time, no? He-n: We’ve stuck on this rust ball in unstable nuclei for the last 4.6 Gyear. Another 0.001 Gyear? No problem. Way better than say waiting 8 Gyear for earth to vaporize. ME: What are your long term plans? He-p: We don’t know yet. Hang out in the local interstellar cloud for a bit, of course. Or maybe one a little more dense, depending on when we get off earth. But long term? Hang out, orbit the galaxy for a few Gyear, maybe do another planet or star someday. ME: So, tell us about your life. Once upon a time, a large star exploded. Well, sorry, that’s it for this evening, and for this post. Comments encouraged. This entry was posted on 2010 July 19, Monday at 2:13 1279505626GMT+0000C and is filed under Education. You can follow any responses to this entry through the RSS 2.0 feed. You can leave a response, or trackback from your own site. @Seth – Yes indeed, and more. Vocabulary and notation is a big issue, challenge, focus of the wiki design, and of envisioned activity. I’ve a set of speculations which are non-trivial to reconcile. Both (a) correctness is critically important (and also that searching and surfing primary literature should be enabled, perhaps encouraged), and (b) opacity is intolerable. This, despite usefulness in education, especially early education, being… well, not a significant selection pressure in scientific standardization. Collaboratively creating (brainstorming, exploring, analyzing, developing and packaging) content fragments (vocabulary, notation, metaphor, story, and more) is a key wiki objective. Or more precisely, demonstrating that it is a good idea, and tractable, by doing it. The enabling technical vision includes richer text. Mouse-over popups, dynamic sidebars, fine-grain transclusion. A split screen, the left a traditional wiki, the right a dynamic display attempting to address the many well known deficiencies of the former. So for instance, depending on a visitors settings, some content might contain a phrase which is non-standard, but clearer. Say “river mouth” or “estuarial” instead of “estuarine”. Or 10^7 as “tiny-10 sup big-7 x 1” instead of “big-1 x big-10 sup tiny-7”. And mouse-overing it gives the standard form in a popup, and opportunistically shows related content on the right. More concretely, the above “Gyear” is non-standard, but more accessible than “Ga”. One doesn’t just want a link, to some other article, but a non-intrusive and encouraging dialog of “oh, you’re wondering about ‘Gyear’? That means… It’s non-standard – the standard way to say it is… It’s marked on the exponential diagram of time now on the right… You can think of it as… Have you heard the joke about…”. Not a current user self-dialog of “oh, a link. sigh. should I click? thus leaving, seeing if there’s anything there, coming back, or… ah, punt. Off to youtube.”.